Creating new uniforms and logos for sports teams are more important than you think. Not only do they have to not look utterly terrible, but they also have to appeal to the fans. The new uniform designs for the National Hockey League pass in the creativity department, but they don’t bring back the retro feel fans are used to. For those of you who don’t know, the NHL has decided to bring back the third/alternate jersey. Discarded like an old pair of socks last season, the third jersey will add a retro feel or new look to each team. The reason for the sudden change isn’t known, but one could speculate that it’s because not everyone has accepted the fairly new uniforms. Last year, the Reebok EDGE Uniform System was introduced as the future of hockey uniforms. With three years of design and research under its belt, the new apparel was created to give players more protection and athletic ability on the ice. The tighter jerseys featured stretch fabric and mesh that provided additional range of motion and ventilation and also used a new water repellent technology to help retain less moisture. Even the pants and socks were designed with new technology to help keep players drier, cooler and protected. On the ice, the uniforms looked visually stunning. Instead of seeing their favourite skaters wearing bulky jerseys, fans witnessed the new invention that added a slimming effect to an individual’s body. Although it didn’t look as amazing on a fan, the new Reebok uniforms were bound to be a hit with everyone in the hockey world. However, criticisms were fired when the NHL noted that alternate and retro jerseys would no longer exist with the new uniform system in place. Instead of hoping to buy a nostalgic jersey for a game, fans were stuck with having to purchase one of the new products. But since the recent changes have been revealed, its hard to determine whether or not going back to the old designs is a good idea. 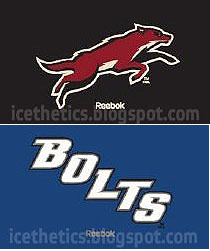 Many hockey fans have grown up with certain logos and jerseys and have never forgotten about them. This is what can cause a problem. Sure the NHL is hoping to bring back a few retro looks and new designs, but its going to difficult to determine whether or not people will appreciate them. Thanks to a few keen journalists and bloggers, images of the new designs have been leaked and craftily designed (since photos aren’t allowed to be released). Some of the retro concepts are definitely present, but a few new ideas have unmistakably ruined the jersey’s design history altogether. This could be one of the primary reasons why a few teams like the Anaheim Ducks have decided to not sport a third jersey next season. Feel free to share your thoughts! What do you think of the new designs? 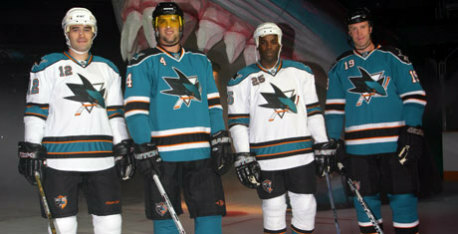 Do you think the NHL should bring back the third jerseys or should they just forget them altogether? 15 Furniture Wall Stickers That Will Trick Your Eyes! 3-D Glasses From "It Came From Out Of Space" To "Avatar"
The third jerseys were sent on hiatus because the NHL was testing the RBK jersey's in game action for a season. 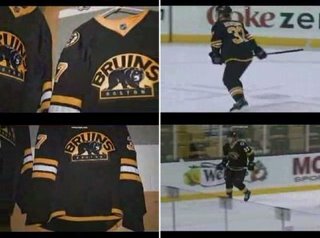 Imagine how silly it would have been to have three sets of jersey's (Home, Away, and Alternates) mass produced and totally bombed (the players were not happy with the way the RBK jersey's didnt allow their bodies to breathe). I believe they were always scheduled to return this season. I don't have a link but recall reading this.